Political ideology is a set of ideas that forms one's goals or expectations. It is a vision usually composed of some philosophical aspects and a set of ideas created by the higher members of the society meant to control the whole society. The definition was put forth by Karl Marx. An ideology forms ideas based on rationality applicable to matters touching on the general welfare of the society. Political ideologies are, therefore, at the core of any government. These ideas influence the way a particular government is to run its affairs and make decisions. The United Kingdom has had various political ideologies which will be discussed here in brief. Some of these ideologies include; a new right ideology based on the nanny state and privatization, the ideology of the third way composed of social justice, social exclusion and the geographies of inequality (Alcock 2008). The last and the most common kind of ideology is the conservative ideology, which was used by many regimes in the United Kingdom. The new right ideology was specifically used in many countries across the globe. It refers to certain kinds of policies which are right based. The ideology was widely used in the extrapolation of some parties in Eastern Europe during the collapse of the Soviet Union (Alcock, May & Wright 2012). The parties' style of leadership was modelled on communism. The United Kingdom, however, had their understanding of the new right. This term was used to refer to a certain kind of conservatism brought about by Margaret Thatcher - the then Prime Minister of the United Kingdom. The ideology was common to Margaret Thatcher and Ronald Reagan, the former president of the United States of America (Glennester 2009). Their ideas were based on the destruction of the welfare state, privatization of national industries and creation of jobs. The third way was an ideology based on justice, the community and the struggle for freedom of people. It incorporates everyone and fights against racism and social injustice. They support positive ideas that are aimed at transforming the country. 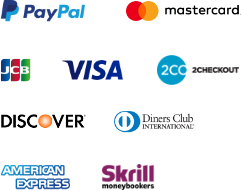 Conservatism originates from the United Kingdom and other European nations. It is believed to have been found by Burke Edmund and Tory (Campbell, 2003). They believed the traditions, and the beliefs of the society should be reflected in the central system of government. Margaret Thatcher also ascribed to this ideology. She believed in a kind of social order in which the rural class enjoyed the fruits of the government. Conservatism was also split into two forms; liberal conservatism and radical conservatism. The following paper will discuss Margaret Thatcher’s ideology in relation to housing in the UK. Margaret’s housing policy is contained in the Housing Act of 1980 and the 1988 Housing Act. This Act is believed to have given rise to ‘Thatcherism’ which is a conservative view of the housing policy (Lavelette & Pratt 2006). The housing policy gave tenants in England a right to buy the council houses and make them their private homes. The main aim was to ensure that every person in England has an opportunity to own his/her own house. The policy was not new as it had earlier on been introduced in 1919 under the Town Planning Act. Margaret only aimed at making it a national policy (Alcock, May & Wright 2012). The Labour party never associated itself with this Act for what they termed as a backward step in meeting suitable accommodation for the people of England. Under this Act, discount was being given to those who stayed in the houses and were willing to buy them. For those who had resided for more than three years, a discount of 33% was offered. A further 20% discount was being offered for those who had resided for more than 20 years (Campbell, 2003). Not all tenants were however allowed to purchase the houses. Some tenants who belonged to the housing associations regarded as being of a charitable nature were never allowed to buy the houses. The policy attracted a lot of criticism for what was referred to as the defective nature of the houses. Majority of this houses had been built in the 1960’s. These houses were seen as being too traditional. In 1984, a Housing Defects Act was enacted to provide grants to the residents of this defective houses. A further Act of a similar nature was introduced in in 1988 which aimed at giving tax reliefs on the mortgage interests to the tenants (Alcock, 2008). Possession recovery of property was also restricted against the county councils (Paul 2002). If the buyer of houses however decided to sell the houses five years after they had bought the houses, any gain earned from such proceeds was to be shared amongst the seller and the county council (Alcock, May & Wright 2012). The Housing Acts really played a great role in increasing the rate of home ownership within England. This efforts are attributable to Thatcher. Margaret Thatcher, also known as Margaret Roberts, was born in 1925. She acquired the name Thatcher from her husband Dennis Thatcher, a well-known businessman. She studied chemistry at the Oxford University and later on she joined the University staff as a chemist researcher. Thatcher has always been referred to as an iron lady thanks to her revolutionary means of decision making. Her political ideology was based on conservatism. Margaret Thatcher subscribed to the conservative party as a vehicle of her political career. When she was nominated for the parliamentary seat in the 1950s at Danford, Thatcher expressed to the people that the way to freedom was in conservatism. She believed that conservatism was not the right of a few people, but that it is a vehicle that takes the national heritage into consideration (Lavelette & Pratt 2006). She was elected to represent Finchley in 1959. Later on she joined the government as the head of the pensions and national insurance. The conservative party lost the 1964 elections upon which she was elected the opposition spokesperson on pensions and insurance. In 1970, however, the conservative party emerged the winners of the elections and Thatcher was appointed to head the ministry of Education (Paul 2002). As a minister, her conservative ideologies were reflected in most of her decisions regarding education. One very crucial project fulfilled by the conservative government is privatization. Among the companies that were privatized were British Steel, British Telecom, and British Airways. A lot of the money got from this privatization was used for the delivery of water and electricity. The privatization was fundamental to the welfare of the people of the United Kingdom (Campbell, 2003). Thatcher’s leadership was also tested when Argentina attacked the Falkland Islands. Upon passing of a resolution by the United Nations for Argentina to withdraw its troops from Falklands, Thatcher sent a group of navy officers to capture Falklands. The port was captured in 1982, and this increased Thatcher popularity. It is her ideology as a conservative that made her take such a move to ensure the general welfare of the people of the United Kingdom. This contributed to the Conservative Party’s victory (Campbell, 2003). Margaret Thatcher also commenced policies concerning reducing authorities of the trade unions (Lavelette & Pratt 2006). This was met by intense strikes in the opposition of this policy. She emerged as a winner during the 1987 elections as the Prime Minister, and this made her the longest serving Prime Minister in the United Kingdom. During this time, a community duty known as the poll tax was announced in Scotland, which led to a very strong opposition from the people. Margaret Thatcher left the House of Commons in 1992 and soon thereafter joined the House of Lords (Paul 2002). She died in 2013. In brief, Thatcher’s major policies were; privatization, cutting on tax, scrapping of the county council and curbing trade unions’ immunities. These policies were also implemented putting into consideration the conservative ideology. The main aim was achieving financial and economic stability for the country. The high inflation rates in 1979 had triggered these policies because Thatcher believed it affected people's savings. The problems of housing in the United Kingdom have been a major challenge to every government. It is speculated that within the last three years, homelessness had increased by 185,000 people in the United Kingdom (Campbell, 2003). The tenant areas for council houses had appreciated by 21%. For a long time monetarist policies always took a day in the UK. Thatcher’s solution to the housing problem was through coming up with a formidable housing policy. This policy was based on several ideologies. These ideologies were; social conservatism, economic neoliberalism and Thatcherism (Alcock, 2008). Thatcher’s idea was the diffusion of ownership policy. She believed that people would only achieve national prosperity if they own homes and increase their savings and shares. She had the idea that people will only depend on themselves free from the government through ownership. The first step to ensuring ownership of homes was through the sale of the council houses. This was later to be extended to shares and savings through privatization and tax lowering (Reguly, 2014). Thatcher always referred to this policy as the ‘people owning democracy' since she believed that a family is the basic fundamental unit of the society and must be accorded the best. The basic step to the achievement of this idea according to Margaret Thatcher was by ensuring ownership of homes for every person. All council tenants were granted the authority to acquire their homes. This was the largest move ever in the transfer of property from the state to individuals. Another idea that influenced Thatcher’s decision was the fact that as an individual owner, a person could take care of his home and garden and respect other people's rights and promote the rule of law ( Reguly, 2014). This happens because being an individual owner, a person has individual responsibility. The private ownership of homes and properties, including the companies, was seen as the greatest step towards property independence of the people (Reguly, 2014). Another conservative policy to ensure ownership of homes was the cutting of the direct tax. This was done with the aim of ensuring people have enough savings to buy property and homes. The goal was achieving family independence and more freedom by providing options for the people to choose from. Initiation of the housing bill by Margaret Thatcher was done immediately after assuming office in 1979. As of 1980, 280000 council homes were speculated to have been sold at a discount, and 1.34 million of such houses as of 1990 (Skidelsky 2014). The Labor Party opposed this move by Thatcher. The members of this party were of the view that there was a need for building of more decent houses apart from just vending the council houses to people. Another criticism of the right to buy is that it attracted wealthy landlords who used such schemes to oppress other people. One of the people mentioned in this scam is the then housing Minister Charles Gow, who is believed to have owned 40 council houses together with his wife (Reguly, 2014).. Apart from this criticism, however, the right to buy policy remains popular in the UK today as the coalition government has adopted the same one 30 years later (Skidelsky 2014). In brief, one of the benefits recorded as a result of the right to buy is an increase of home ownership from 55% in 1980 to 64 % in 1987 and to further 67% in 1990, when Margaret Thatcher was leaving office. The treasury also recorded 28 billion pounds as a result of the right to buy (Reguly, 2014). Thatcher’s housing policy was referred to as the right to buy. It factored in two aspects of Thatcherism: economic neo-liberalism and social conservatism (Sullivan 1992). The government under the leadership of Thatcher wanted to create economic independence of the people. This was reached through cutting down on taxes and provision of subsidies on mortgages ( Reguly, 2014). All these policies were aimed at creating freedom and enabling people to be economically stable. This was achieved through privatization of major sate companies and property (Sullivan 1992). The giving of council houses to private owners from the county council clearly depicts Thatcher’s ideology of social conservatism within the housing policy. She believed that the only way that people would be free and independent was through private ownership of homes and property (Skidelsky 2014). Through the 1980 and the 1988 housing Acts Thatcher embarked on a process of giving discounts to people in order to enable them to purchase the council houses (Richard 1987). The tenants in these houses were also given the opportunity to purchase the houses and make them their homes. 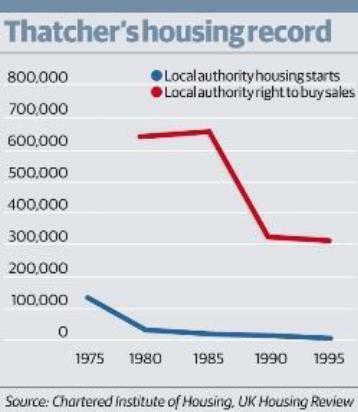 This clearly shows that Thatcher had the intention of making state-owned property private. This idea was also extended to other spheres through privatization of companies and property. The cutting of direct tax was just an idea that was to enable the people have sufficient savings and shares necessary to enable them own property (Skidelsky 2014). Thatcher’s major reasoning in coming up with social conservatism idea of the housing policy was the fact that the family is the basic and fundamental unit of the society. She believed that for there to be national development, all families must have houses. She maintained that social conservatism was a right of all people. Independence and freedom according to her was essential in the development (Sullivan 1992). The discounts offered for the house purchase as subsidies are a reflection of the social conservatism. Thatcher also used tax reliefs as a source for mortgages to ensure good housing. This put her in conflict with the majority of the chancellors. From the above discourse, it is plausible to conclude that the impact of Margaret Thatcher upon housing policies in the UK cannot be underrated. Through her conservatism ideologies, she was able to come up with the right to buy policy and implement it successfully. Even after her death, the legacy of the housing policy still looms today. Indeed, Thatcher is an icon to be emulated in improving the welfare state of the people.